far on the water is the fifth studio album by Japanese group Kalafina, released on September 16, 2015. The title track “far on the water” was used as the fourth ending theme for the NHK program Rekishi Hiwa Historia. The album peaked at #2 on the Oricon Charts and has sold 41,372 copies to date. 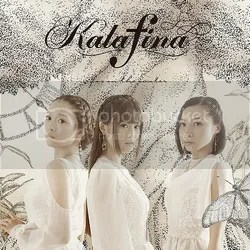 into the water opens the album and it’s like a welcome to the listener, a welcome to the world of Kalafina’s new album. It’s soft and features beautiful chanting, sound of nature, and some bells. Personally, I prefer ‘al fine’ on Consolation, but this is definitely not bad either. What I loved on their previous album was the kickass song right after the intro, and monochrome is not in the category ‘kickass tracks’. I must say I’m more used to it by now, but all I could think of when I first heard this song was ‘Hm… interesting”. Perhaps because of the arrangement with both electric guitars and an accordion, which is not very typical. Still interesting, but more on the positive side. I think I would’ve preferred Gogatsu no Mahou as the second track after into the water, it’s a bit more bombastic from the start. It’s a 6/8 track with percussion, electric guitars and strings, and there’s more pathos. Wakana’s vocals are amazing, as always, but so are the other girls’. For ‘just’ an album track, this is golden. ring your bell is still quite a complex song because of the melodies (and I just can’t follow), but that’s not a bad thing. Despite not being very catchy (only after a couple of listens), it is breathtaking. I’m glad it’s fast paced and that it features a lot of electric guitars, still it sounds very light. The vocals are perfection here, definitely one of my favorite tracks. Usumurasaki is a dark and Arabian-influenced track, very different from ring your bell. In a way, it’s even foreboding in a certain way. Those strings make it perfect, and the vocals finish everything off. I think I need multiple listens to really memorize it, but the first impression is very good! What I love about Kalafina is their diversity, and after some lighter songs and a dark Arabian song, their side focused on rock music comes in with identify. 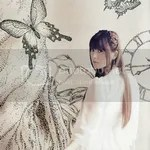 Keiko and Hikaru take the lead wonderfully in this guitar-driven, fast-paced track with more aggressive elements. That electric guitar solo in the bridge was everything. I don’t like how Hokage just… starts, out of the blue. It’s like they throw in a chorus right away. This is a slow song with piano and strings, and the girls singing in harmony. Wakana takes the lead again, the vocals sound amazing, but with more of a buildup this could’ve worked out better. Now it’s quite boring and ‘just there’. YESS, One Light! This is definitely one of my new favorites, and I love how Hikaru is the best vocalist in this song (her vocals usually work best for their heavier songs). Together with ring your bell, this is probably the most solid song on the entire album. Classic Kalafina slaying everything, wham! Like a throwback to ‘Eden’, that’s what Musunde Hiraku sounds like. Again, it’s much lighter than songs like One Light and identify, but still the arrangement kicks you-know-what with a lot of electric guitars and strings. Although I like this song, I’m afraid it gets lost between all the other songs here. The ‘anime theme song style’ Kalafina sometimes has returns with heavenly blue, and I can tell you it doesn’t sound as ‘heavenly’ as the title suggests (and I don’t mean that in a bad way). It’s the theme song for ALDNOAH.ZERO and again its bursting with energy from electric guitars, strings and percussion. The more I listen to it, the more I appreciate it! Despite being one of the shortest songs on the album, Sorairo no Isu sounds very magical, reminding me of fairy forests for some strange reason. I love the arrangement with a harp, an acoustic guitar and a soft violin, it makes the song stand out among all the others. believe was on a single I reviewed almost a year ago (wow…), and I remember loving it. It opens as a winter song, but then it becomes something completely different with that typical Kalafina anime rock quality as I call it. Some parts still remind me a bit of ‘to the beginning’, but this track has a unique quality of its own nonetheless. The title track closes the album. far on the water has some beautiful melodies than stun me from the beginning, Keiko opens the track so well. Hikaru and Wakana take over pretty soon, though. But I must say, this is a song that has its very own sound and I love it for that. It’s a worthy ending to this album. I think Wakana must have a sore throat now because I heard more of her than the other girls on this album, but still. At first when I heard monochrome, it kinda caught me off guard and I wasn’t sure whether this album would be as good as their previous albums (looking at the tracklisting). It worked out pretty well in the end, and the Kalafina magic still isn’t lost. The singles were the album’s highlights, but some of the album tracks are also very pleasant to listen to. I don’t think this will ever be as good as ‘Red Moon’, but at least they didn’t disappoint at all! One small detail: where are ‘Kimi no Gin no Niwa’ and ‘Alleluia’???!! I feel that the tracks that actually drag down this album are believe and heavenly blue. They’re not bad by any stretch, but just nowhere close to the level of the other songs in the album. Like how the anime tie-ins (especially Mirai and Hikari Furu) dragged down Consolation, these two dragged down FotW. The best track, IMO, is Usumurasaki. It’s classic Kajiura, but it’s classic Kajiura at her best. I love everything about this song, and all three vocalists get a healthy amount of lead vocals here. Same goes for Musunde Hiraku, which is by far the catchiest song in the album. Gogatsu no Mahou, monochrome and Sorairo no Isu are also excellent gems as well. ring your bell reminds me of the old Kalafina, while One Light is good, but not great – it hangs a little too much on the “shounen anime sound” side. I feel that, of all the albums, FotW has the catchiest songs with the widest “appeal” and the album-original songs are, for the most part, equally likeable, with the notable exception being Hokage, since it’s basically another arrangement of Sapphire from the old days. Hokage, along with believe and heavenly blue, are my least favorite tracks in FotW. Overall, I think it’s a strong album nonetheless. Certainly better than what After Eden had to offer since that album had me falling asleep during my first listen. It still doesn’t surpass Consolation, SH or Red Moon, which is a tough feat to achieve, but I did have high hopes for this album given that they haven’t released anything that I’ve really liked in 2 and a half years. KnGnN was okay, nothing memorable, and Alleluia is, so far, the worst out of the KnK EDs – it just sounds generic to me.